5 Blackwaterside - Trad. Arr. 10 The Lowlands Of Holland - Trad. Arr. This 20-track CD was available only super-briefly in the spring of 1997 before Island Records prevented further copies from being distributed. The several thousand copies that had already been released, however, were allowed to remain in circulation, meaning that this disc is difficult but not impossible to find. 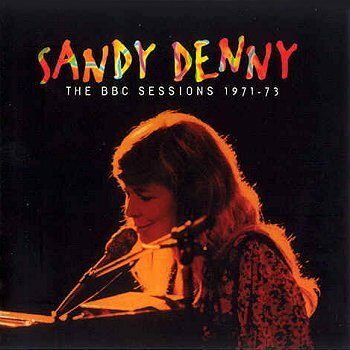 And if you like Sandy Denny, you need to find it, because it's some of her best material. Most of the tracks are BBC versions of songs that appeared on her first three solo albums, and most are her own compositions; all but four are performed solo on piano or guitar. In a sense, it's Sandy unplugged, although that term didn't exist in those days. 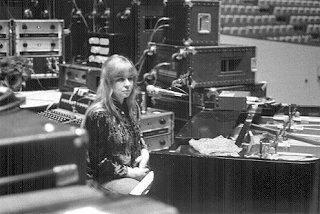 Denny arguably sounds much better on these spare versions than she does on the official takes, when she had to contend with often humdrum, over-arranged session accompaniment. In this context, she comes off much more like a kindred spirit to early-'70s singer/songwriters, especially Joni Mitchell and Judy Collins, than she does a British folk troubadour. You could, indeed, make a strong argument for this as her best solo recording, with fidelity that ranges from good to excellent. While eight of these tracks previously appeared on the fine bootleg Dark the Night, the remaining 12 did not, making it an essential addition for Denny fans.